Warriors Against the Core, maybe you saw it this past week, and maybe you didn’t. What am I referring to? 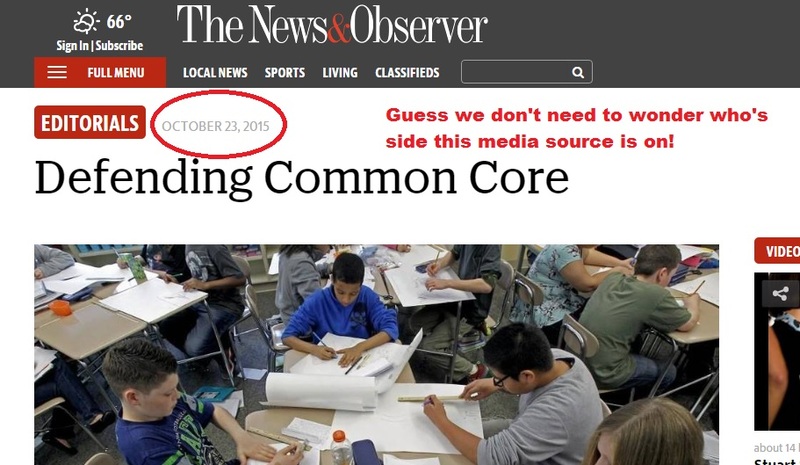 The news that NC had given Common Core the boot. I saw it surface on several anti CC Facebook pages where folks were expressing jealousy over the fact they wished their state would be so bold; others giving the citizens of NC a big ‘well done’. Is there more to this story? Sure there is! 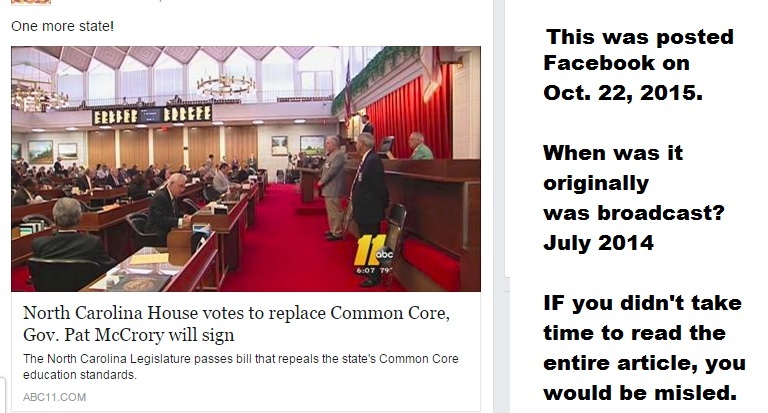 What the truth is, is that a bill was signed by the Governor, but instead of ‘repeal’ or ‘replace’ CCSS in NC, we got stuck with a REVIEW of it. I’ll spare you the Keystone Cop routine of how the Committee has been treated by not only the Governor, but the legislature, the State Board of Education, etc. Why is it important to clarify the truth NOW? Because, the Review Committee is about 2 months away from its final report. That’s right, in Dec. 2015, the NC Academic Standards Review Committee (NC ASRC) will hand over their findings and suggestions for what NC SHOULD do with CCSS. We may, in fact, get to see a total repeal of CCSS. That is what the vast majority of citizens is pulling for. 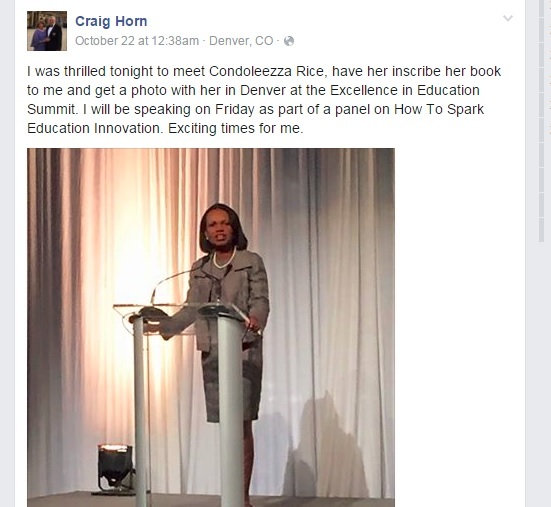 We might see a tweaked CCSS, or we might get the shaft via a rebrand. Who knows?! 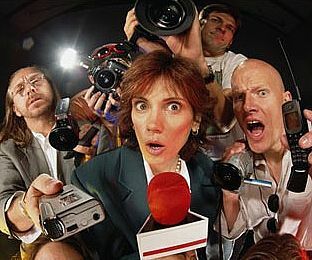 In the meantime, however, here is what else is going on to feed the rumor mill…..
Gone of the journalist days where objectivity was reported! Media selling out the CCSS Machine isn’t new or exclusive to the ‘big’ sources. I would encourage you, as an anti CCSS Warrior to respond to the editorial, even if you are outside NC! I hope you’ll look for my response, it is a zinger! These next two events are true. Some of what is stated, however, is fallacy based. Regardless, each of these moves are bad news for NC…and the nation. 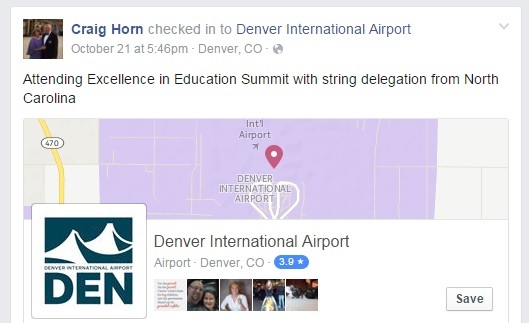 Jeb Bush’s Foundation for Excellence in Education’s Denver Conference. I learned of this event from one of the elected legislators of NC this past week. His name? 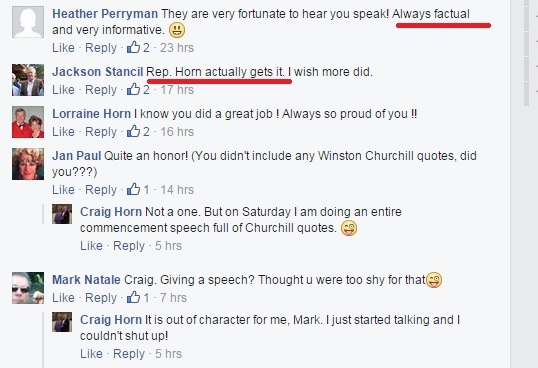 Rep. Craig Horn. 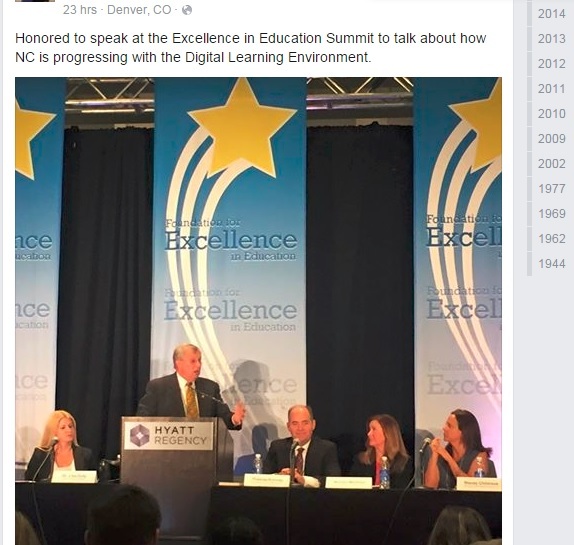 He was gloating about the great work NC has done to push digital education in NC and that he’d been a part of it! The first one announced his arrival. The second one shares his joy at being there. The third shows you his involvement in NC education. Comments made beneath the picture showed support of his work from his friends. Former U.S. Dept. of Education’s Margaret Spellings as the President of UNC. I first wrote about Ms. Spellings’ report back in June 2015. It was included as a ‘related resource’ in my article about Higher Education, Sen. Lamar Alexander, and the “Next America”. Read it, you need to. As an anti CCSS Warrior what is shared there is vital. 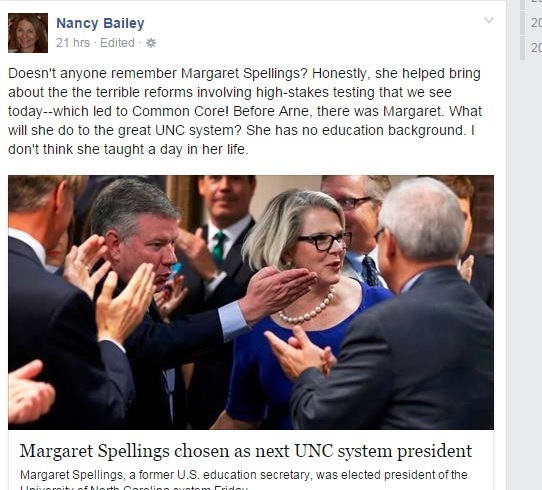 My fellow anti CCSS Warrior, Nancy Bailey made some great comments about Spellings on Facebook. See the screen shot below. With all this CCSS Machine effort going in NC, adding a former creator is NOT a smart move for NC or the nation! 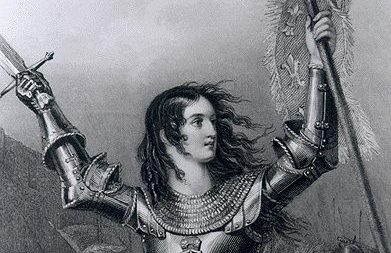 Warriors, we MUST use these events, this information to help STOP Common Core in ALL its forms!